Welcome to our company. Our first-class cleaning services deliver happiness to London residents, no matter where they are situated. We offer a wide range of cleaning programmes for both residents and business owners. We are organised and completely professional, with a wealth of experience in cleaning. Hundreds of residents have already put their trust in our hands and they keep on using our services. We would love to attract new clients and we also work hard to keep our existing clients coming back. It is a responsible job and we have been very devoted to it, now for many years. You can be sure your home or office will receive the best of service. Pick the phone and dial our number. Whenever you need professionals, you can count on us. Our experience is vast and we also have the right qualifications. 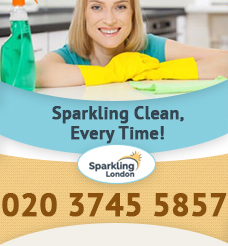 Our cleaning services are available in London and we are open from Monday to Sunday. We offer a host of services for both our commercial and residential clients. We specialise in various cleaning fields, such as carpet and sofa cleaning, end of tenancy cleaning, oven cleaning, domestic cleaning, spring cleaning, etc. Our domestic cleaning service is designed for our residential clients. We focus on housework and complete all household tasks our clients aren’t able to. The service can be regular if the client wants to. We offer hourly jobs as well as weekly and monthly services. Our carpet cleaning service is what it says: it focuses solely on carpets. We use the latest technologies and a revolutionary cleaning system to rid carpets of soil, allergens, bacteria and debris. We sanitise and deodorise the fabric. Because we want our clients to use their belongings soon after we complete the task, we also dry the items. Our sofa cleaning service is similar, only it focuses on upholstered furniture. Our end of tenancy service provides peace of mind for all customers who are bound to vacate their rented properties. Before they move out, we visit them and deliver a final cleaning. The service has a 48-hour guarantee and is completely efficient. For our commercial clients we offer office cleaning. We know that every business owner wants to impress their clients and we realise how much of a difference high cleaning standards in the office make. For this reason, we deliver top-notch office cleaning services without delay. We are able to meet deadlines and produce high-quality results. If you need a complete list of the services we offer in London, make sure to speak to our co-workers. They will also tell you about our working hours, prices and everything. Don’t overwhelm yourself with cleaning. There is a company that can meet all your cleaning demands. That’s us. We are waiting for your call. Don’t think too much. It’s worth a try.